A woman ended up in handcuffs yesterday after allegedly stealing handcuffs and other items from a Walmart in Florida. 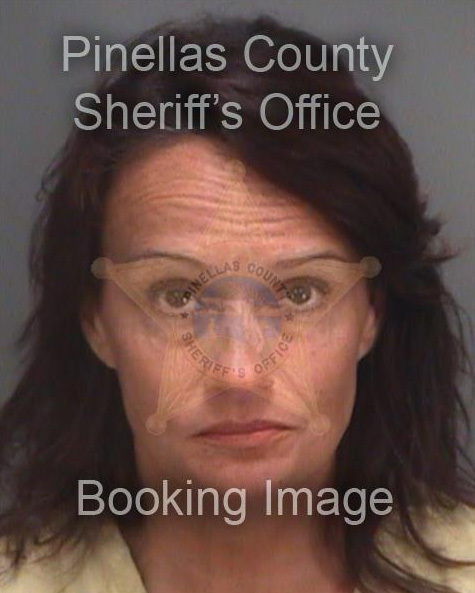 Renee White, 47, was nabbed upon walking out of the Clearwater store Thursday afternoon with $69.70 worth of merchandise “concealed upon her person and in her purse,” according to an arrest affidavit. White’s alleged haul included a USB cable ($19.88), an HP ink cartridge ($31.97), and a pair of handcuffs valued at $3.97. While the restraints are not further described, Walmart sells costume handcuffs and “Bachelorette Furry Wrist Cuffs” for a similar price. Charged with misdemeanor retail theft, White was released from jail late last night after posting $150 bond. White is pictured above in a mug shot taken following a 2014 arrest for domestic battery (prosecutors subsequently opted to not pursue the misdemeanor count). White pleaded no contest last year to a retail theft charge, according to court records.